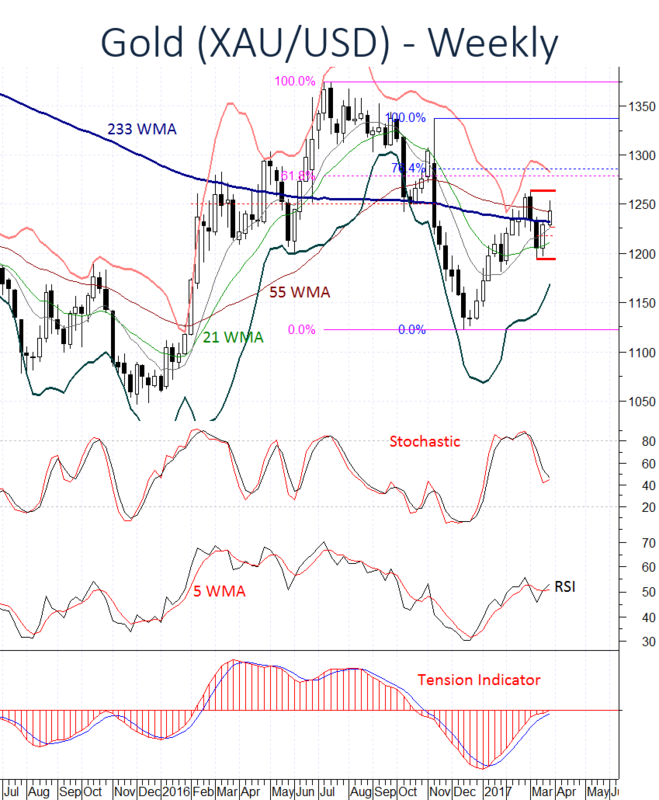 Gold prices have extended gains to reach USD1253.10. However, a short-term corrective pullback is now highlighted as overbought daily studies unwind. 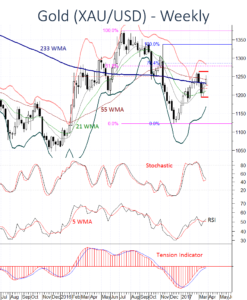 Support is at the USD1226.32 low of 21 March, and extends to the USD1217.50 break level. Any deeper reactions should now stabilise above critical support within the USD1194.55 low of 10 March and USD1193, (50%) Fibonacci retracement, as weekly studies and investor sentiment show signs of improvement. If broken, not seen, a deeper reaction will be confirmed as the February bear trend gains fresh traction. Improving sentiment is now highlighting a later break above critical resistance at the USD1263.80 high of February. This would then negate downside risks, as investors adopt an outright bullish stance. Continuation of the December 2016 rally will then focus on the USD1278.40 and USD1286.65 Fibonacci retracements.